« How often do you recast? 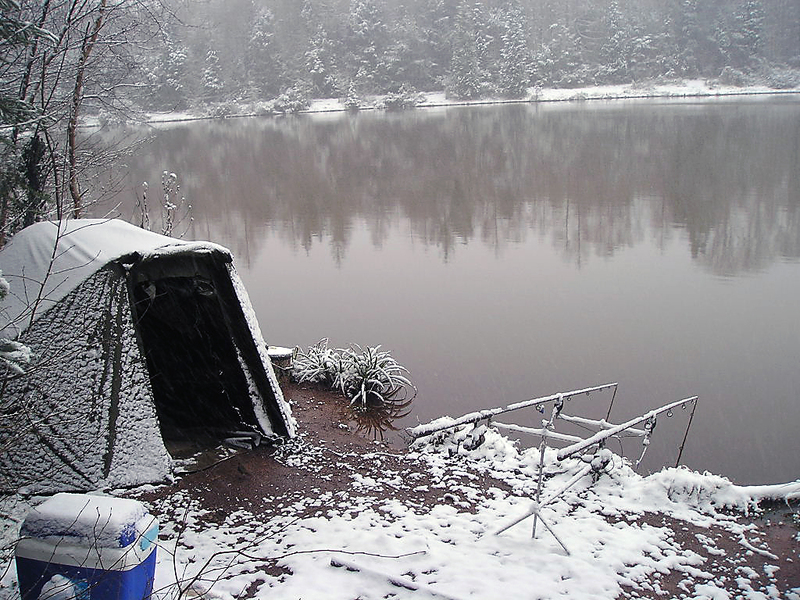 So you want to catch Carp in Winter? This is part one of a series of blogs dedicated to help you with your winter carping. Well it is nearly the end of November now and finally we are having some proper November weather and temperatures. This has come as a bit of a shock because of the really mild spell we have had up until now! Fishing in winter can be quite daunting and I have to admit hard work but the rewards are there to be had. One if not the most important part of successful winter fishing is finding the fish. Location in Winter is so important even more so than in Summer. In the Summer location is important but as the carp move and feed a lot more there is a good chance that over a period of time the fish will move to your spot. But in Winter location is vital (due to decrease in the carps metabolism) and they are much more unlikely to move and may well be shoaled up in one area. Also it seems to me that there are distinctive feeding times which are usually quite brief and are different from lake to lake but i have found afternoons to be more productive than mornings. When trying to locate Carp in the Winter try to think more about where in the lake will be the most comfortable for the fish rather than where they will feed,. Temperature is the Carp’s priority in the colder months, this being the case what I am looking for is somewhere that offers a degree of shelter, has direct sunlight and as a bonus is a source of food items. I guess the million dollar question is what are the possible holding areas for Winter Carp? Reed beds, snags and areas of old lilly pads offer protection and shelter, natural food items and warmth. Islands are good because once agin they offer shelter from cold winds and because of the varying depths surrounding islands due shelves etc. It is easy for the carp to find the warmest depth of water without having to expel a great deal of energy. Shallow areas, these areas warm up the quickest so on bright warm winter days shallow water can be the ideal spot; don’t just stick to the “its winter they are in deep water” mentality as many people do. Get on the back of cold winds and follow warm winds, remember the carp are seeking the most comfortable area of the lake. So my ideal spot would be an island with a reed lined margin on a warm Winters day but give me any 2 of these and I am confident that there will be carp in that area. As in Summer watch the water like a hawk, they will not give themselves away as easily as they do in the warmer months but always watch the water and look for subtle signs rather than rolling fish. This entry was posted in carp, tips and tactics, tuition and tagged carp, fish location, winter.